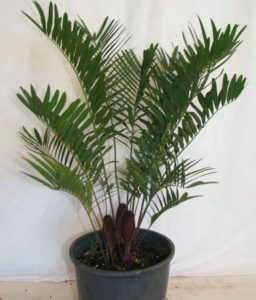 The most widely grown and popular cycad around the world. Originated from Japan it is a hardy and adaptable preferring a sunny situation and free draining soil. 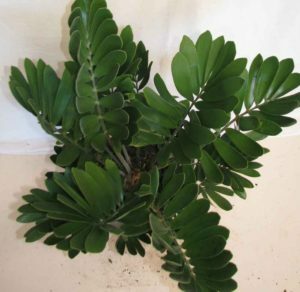 The glossy dark green leaves grow out in a rosette from the centre of the plant. 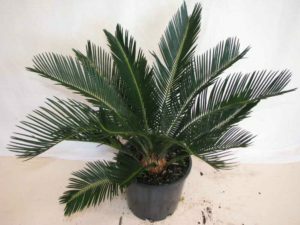 A popular hardy cycad that presents very few problems for most gardeners. It required full sun to maintain its best form, growing to 2m in height and width. This species forms clumps that produce grey-green leaves that often emerge a copper/rusty colour, but when mature have a real artificial- cardboard look and feel about them. 300mm A much smaller form of the cardboard plant, with leaves finer and dark green. This plant prefers part shade in the tropics.